Despite the commonplace belief that Amazon (AMZN) is gobbling up retail, Enjoy CEO and former J.C. Penney chief executive Ron Johnson contends it’s Amazon — and not its competitors — that should be concerned. 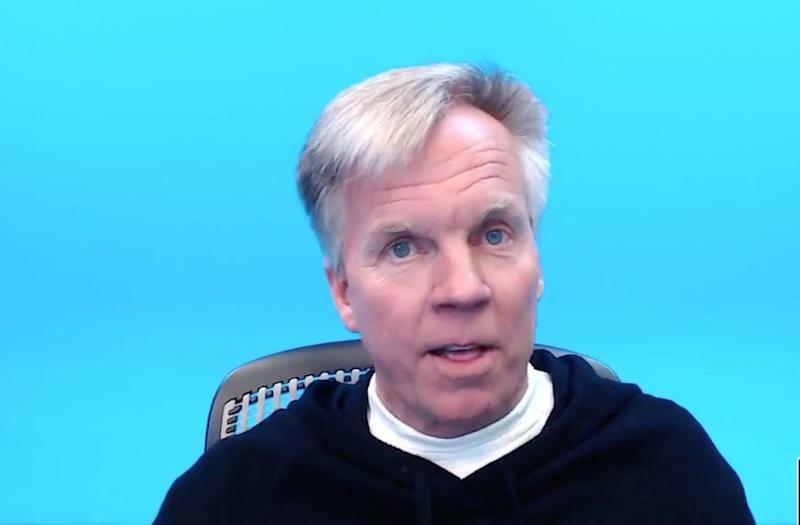 Enjoy CEO and former J.C. Penney chief executive Ron Johnson contends Amazon should be worried about competition like Walmart and Target. Agree or not with Johnson’s argument, the 60-year-old executive certainly has his share of retail experience. After famously architecting Apple’s (AAPL) physical store experience as the tech giant’s senior vice president, Johnson attempted to bring that same level of innovation to J.C. Penney. But his aggressive attempts at revamping the aging retailer’s physical stores — changing floor merchandise, ditching coupons, introducing everyday low prices — led to a same-store sales drop-off of 25% during Johnson’s first year. Ousted from J.C. Penney after only 17 months, Johnson founded the startup Enjoy, which helps clients like AT&T (T) and Google (GOOG, GOOGL) offer same-day delivery and expert services to customers. Johnson suggests Walmart and Target’s rapid e-commerce growth will continue, in part because both retailers have successfully expanded their online and in-store pick-up options. Walmart, which has significantly ramped up its organic food offerings over the last five years, now offers in-store pick-up for online orders at roughly 2,100 out of its 4,300 locations, as well as online grocery delivery from more than 800 stores. (The retailer expects to add another 800 stores to the mix throughout 2019.) Walmart is also piloting a new program in partnership with Udelv, a Burlingame, California-based technology company, to have online orders delivered by self-driving vehicles to homes in Surprise, Arizona. During the holiday months of November and December last year, Target processed 60% more items year-over-year via options like online order pickup, ship from store and “Drive Up,” where customers can drive to designated delivery pick-up spots at a physical Target (TGT) location.